so please be patient while they all load! What a blast we had with our fuzzy little friends! 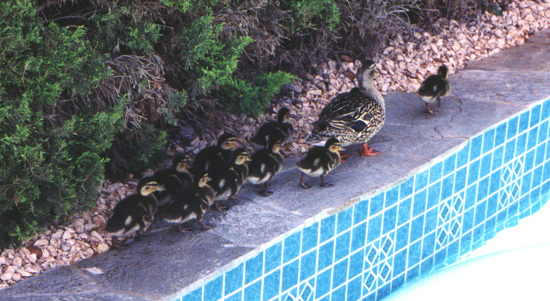 and were swimming with mom in the pool the very next day. 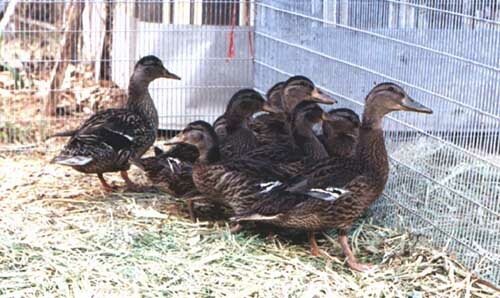 Here they are in all their newborn duckiness. 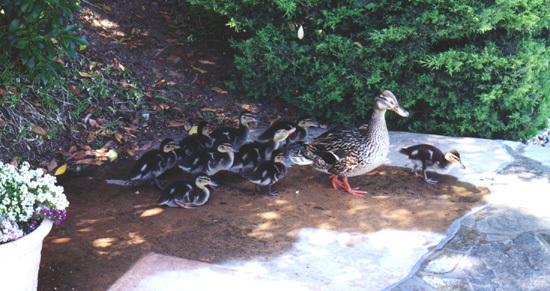 Here are the ducklings at a little over 2 weeks old. See how quickly they grew! just one day shy of their 4 week birthday. to make the hard choice to find them other accommodations. pool they loved so much was actually harmful to them. maintained primarily for mallard duck moms and babies. and visited them in their new home. we got to watch their "release". 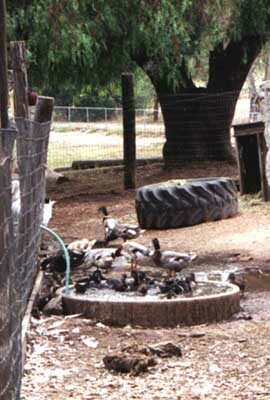 They were moved to a much larger area with other ducks and geese. they would be free to come and go as they chose. for providing such a loving and caring environment for them. and how beautifully their feathers had come in. Momma is actually on the left! for the first time. What a handsome bunch! A family portrait in their new living quarters. 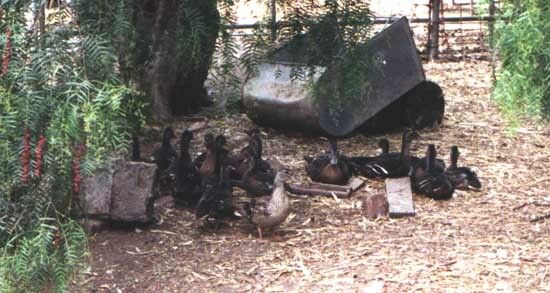 with all of her ducklings on the left. our momma, and learn what they needed to know from her. if they had been born in the wild.